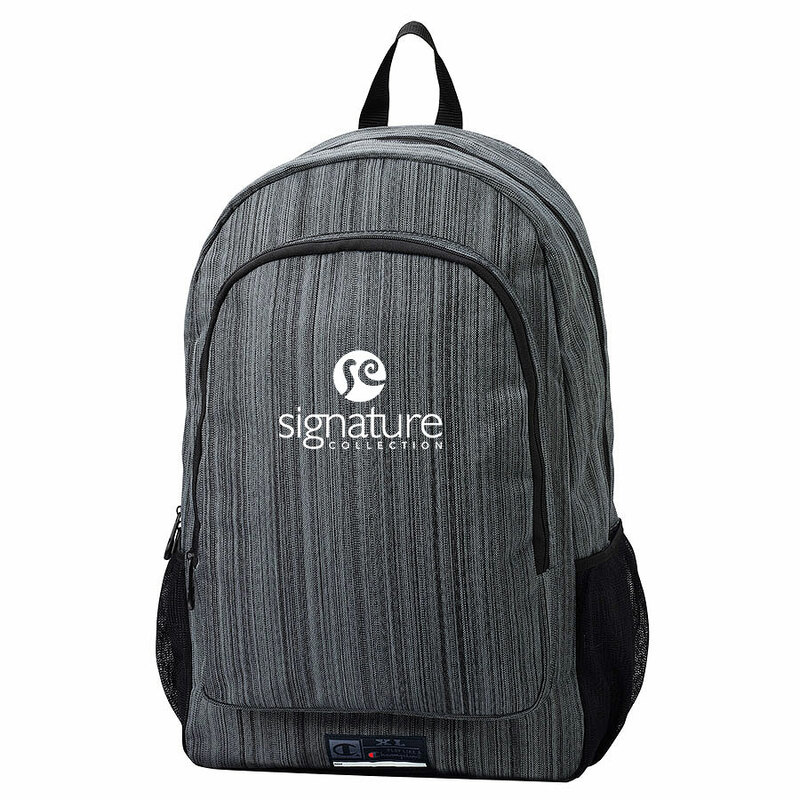 Product code: 22531 Category: Backpacks. 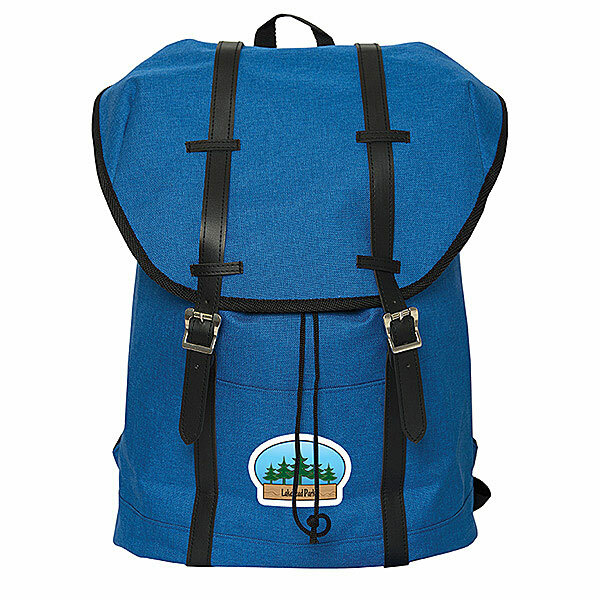 Looking for a backpack that is both stylish and practical? Well look no further than the Elevate Tangent. 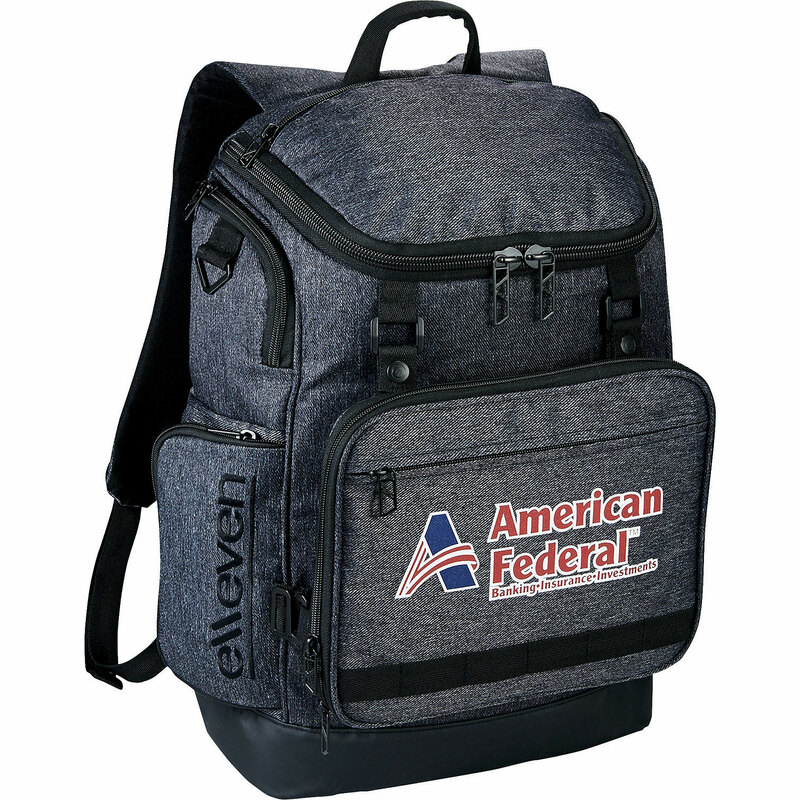 This backpack has water resistant material and zippers and a large front pocket with an organizer. 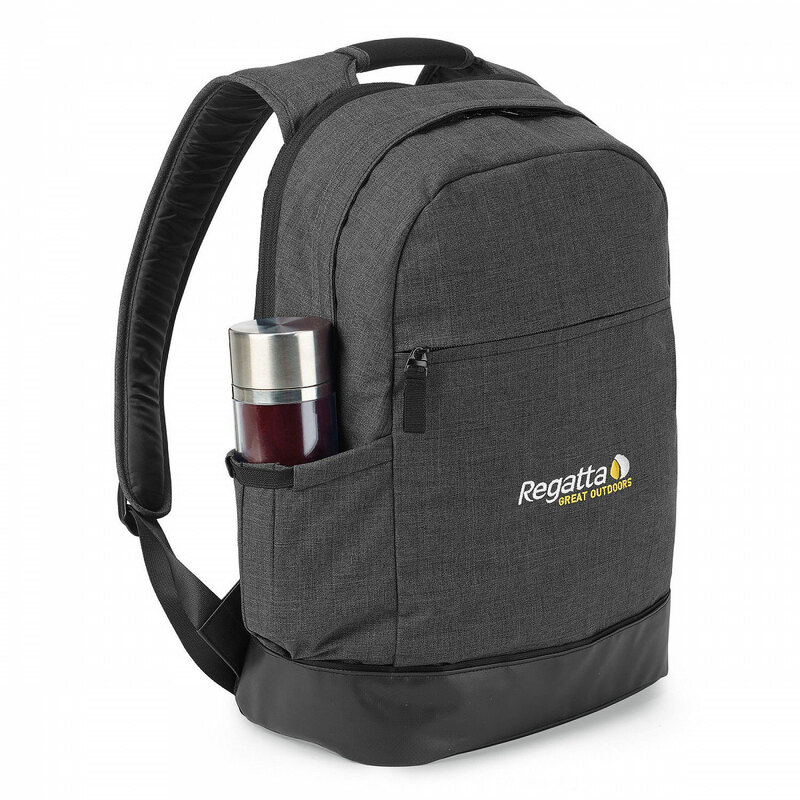 It includes a top front zippered pocket for easy access to item likes sunglasses, a front grab handle for convenience, a dedicated laptop compartment with side zippered access and padded rear shoulder straps and back with trolley sleeve. 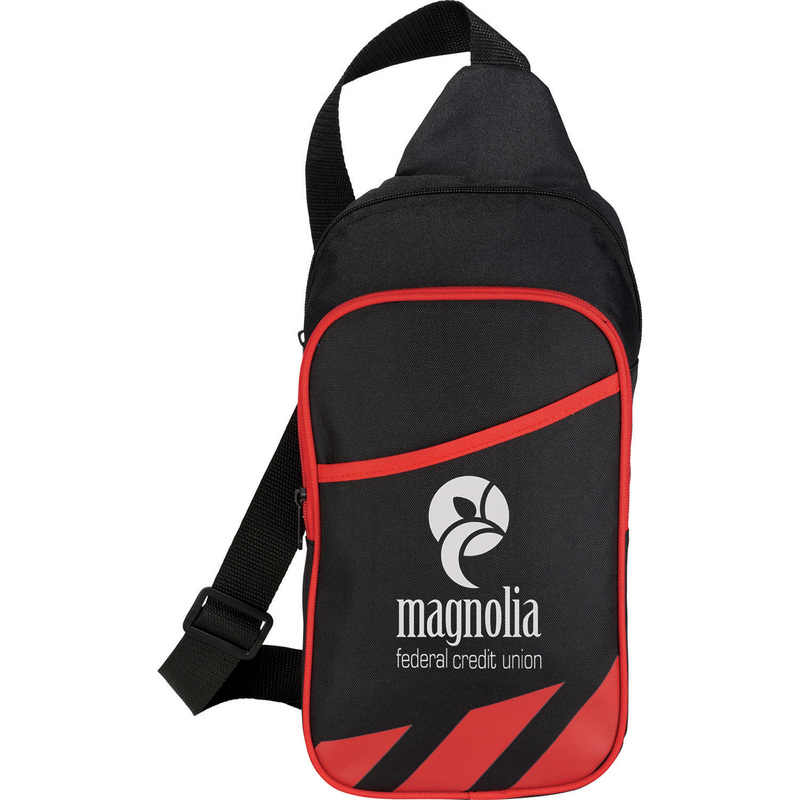 It also has a sternum strap and some with side water bottle pockets with drawstring closures. Size Choose an option19.5 in. x 6.5 in. x 13.5 in. 19.5 in. x 6.5 in. x 13.5 in. 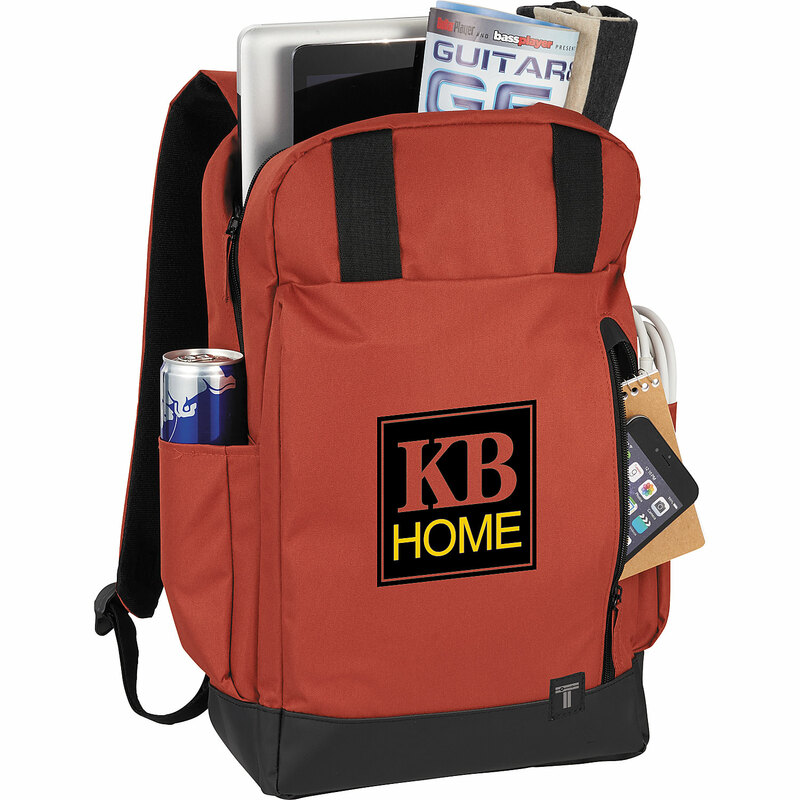 We like to make sure your pack takes care of you, so pick up this tricked out durable bag today! 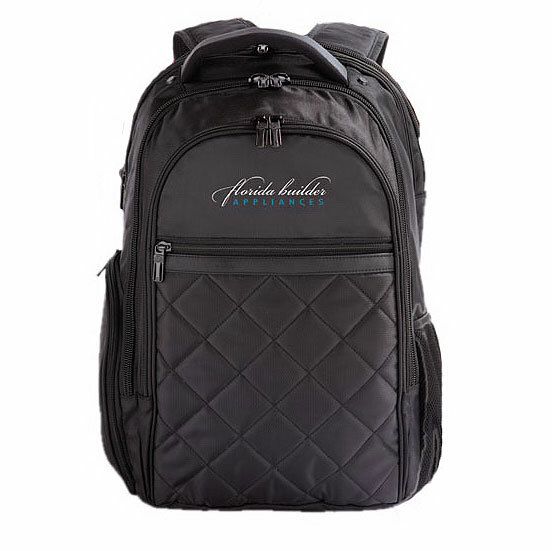 Features a crush resistant fur-lined valuables pocket, top entry fur-lined laptop compartment, padded tablet pocket, hidden side hydration pocket, elastic webbing containment loops and organization panel. 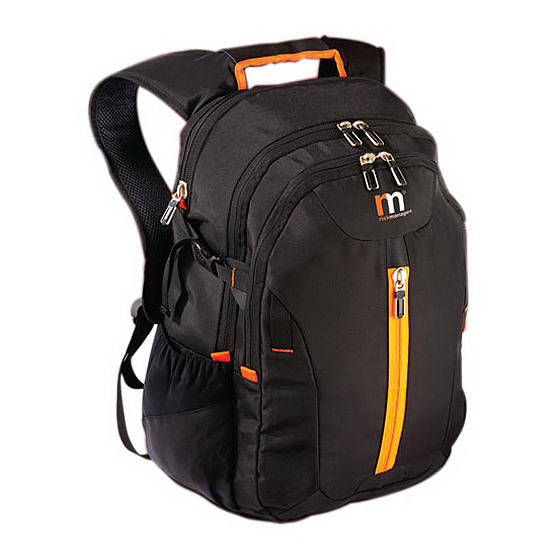 Feel secure with military grade zippers and stay comfortable with P-Shox adjustable shoulder straps, top custom injected soft grab handle, and adjustable sternum strap. 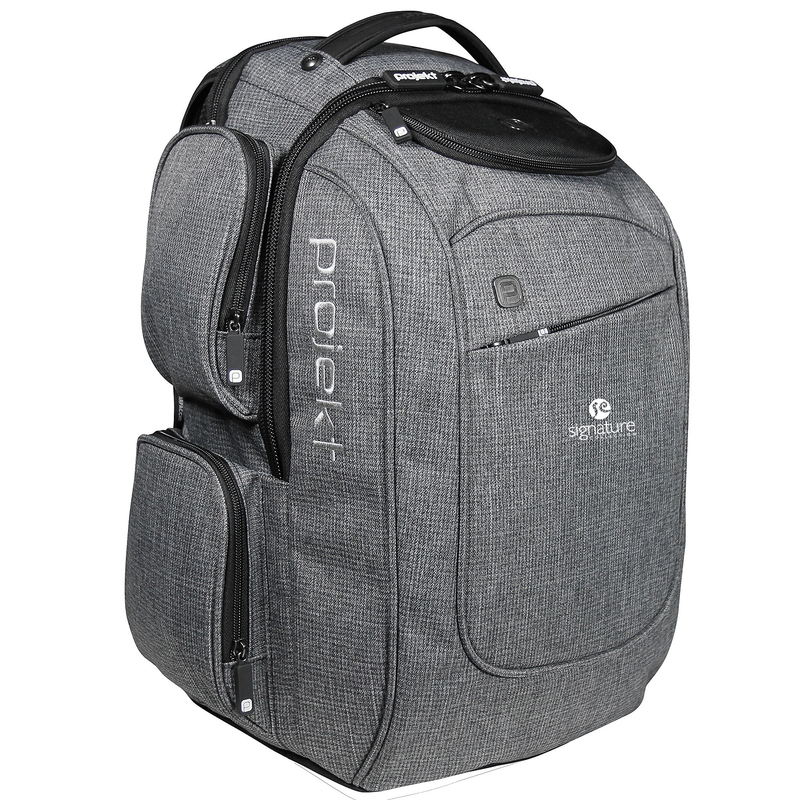 This computer backpack is the next generation of professional bags built for ultimate versatility and organization that adapts your lifestyle! 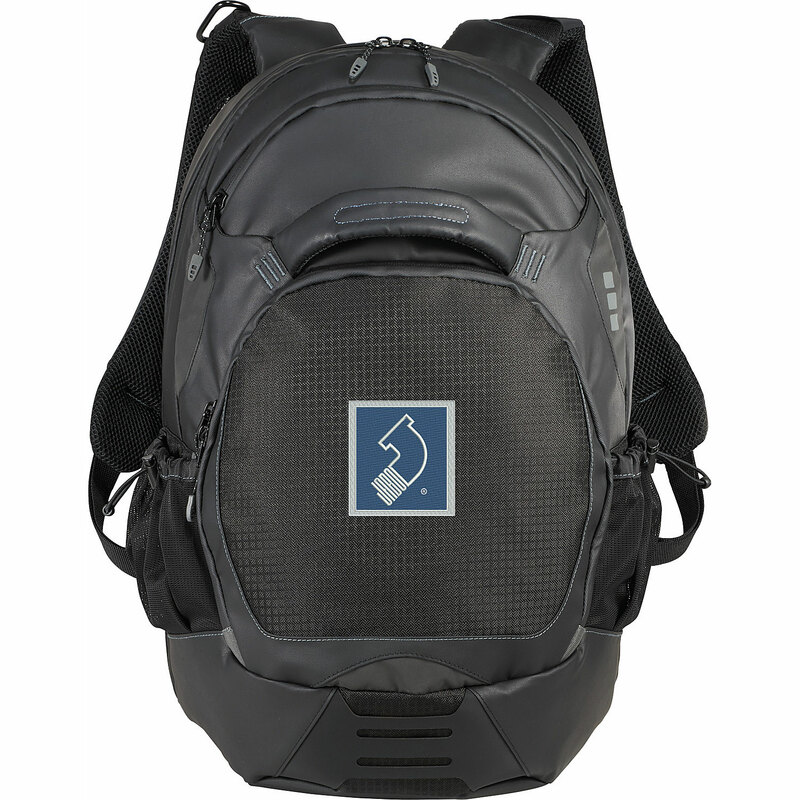 Made from heathered polyester and tarpaulin this backpack has a unique modular pouch that detaches to provide the necessities you need, right when you need them. Store your tablet, headphones and powerbank for your next flight, then simply detach the pouch and stash your bag in the overhead compartment. 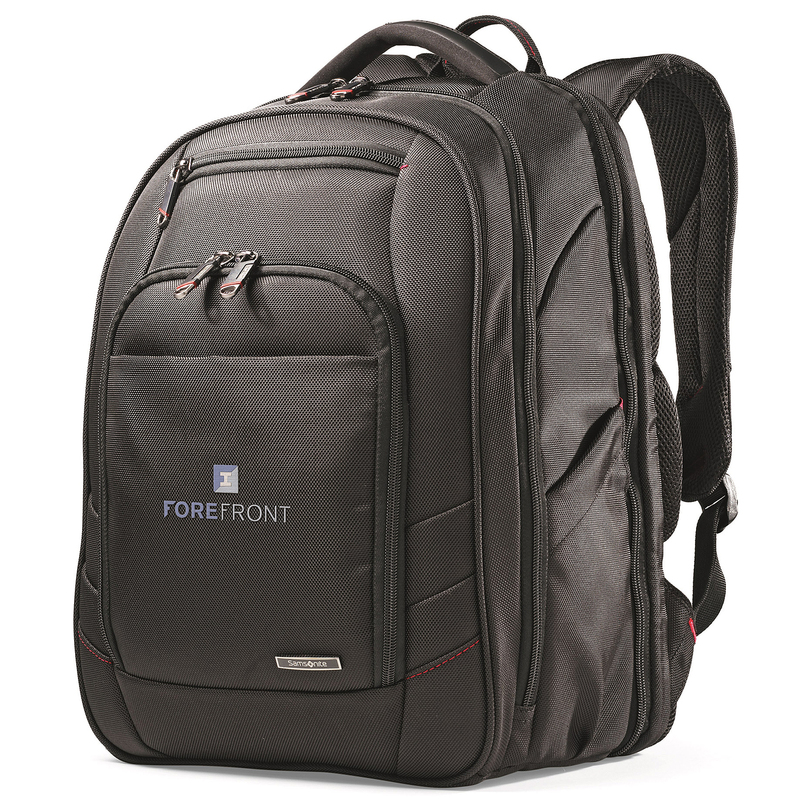 Features a designated laptop compartment that holds up to a 15.6 inch laptop, top zippered pocket for quick-access items, wipeable bottom for easy cleaning, RFID protected side pocket, padded adjustable shoulder straps with sternum strap, rear trolley sleeve, and ellevenÂ branding elements and hardware.